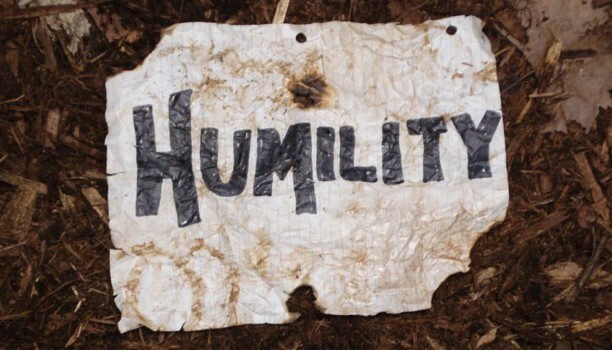 The first portrait of humility has to do with something we associate with everyday living. 1 Peter 5:5-6 In the same way, you who are younger, submit yourselves to your elders. All of you, clothe yourselves with humility toward one another, because, “God opposes the proud but shows favor to the humble.” Humble yourselves, therefore, under God’s mighty hand, that he may lift you up in due time. 2 Chronicles 7:14 if my people, who are called by my name, will humble themselves and pray and seek my face and turn from their wicked ways, then I will hear from heaven, and I will forgive their sin and will heal their land. Micah 6:8 He has shown you, O mortal, what is good. And what does the Lord require of you? To act justly and to love mercy and to walk humbly with your God. Of course the greatest picture of Humility is Jesus. He noticed the ones no one else did. He touched the ones no one else would. He blessed the ones others wanted to send away.